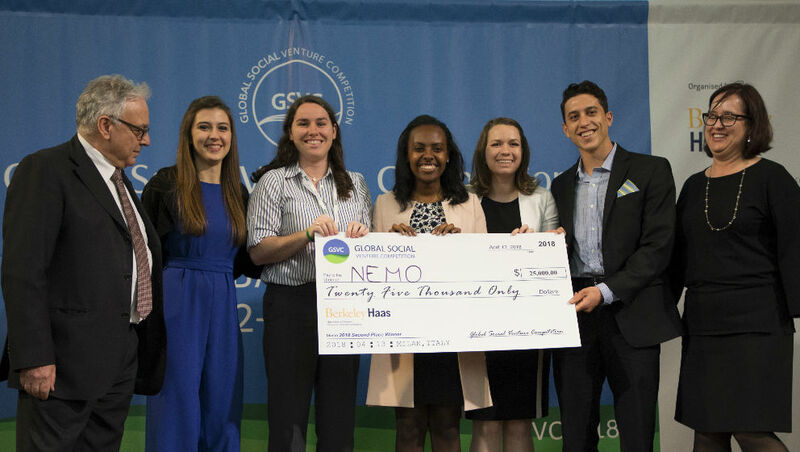 On April 13, in the auditorium of the Università Cattolica del Sacro Cuore di Milano FabricAID (Lebanon), NeMo (USA) and Thinkerbell Labs (India) won the Global Social Venture Competition, the international competition launched by the University of California Berkeley Haas School of Business to promote business ideas with a social or environmental impact. 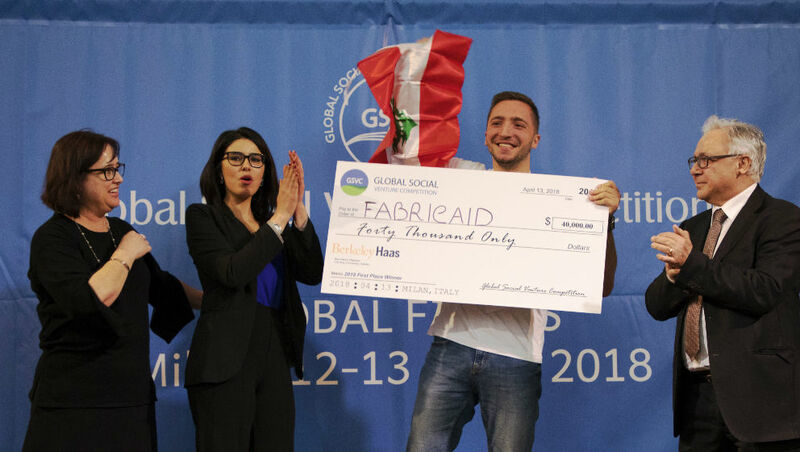 The first prize, amounting to $40,000, was given to FabricAID, a startup from Lebanon that came up with a system to collect, recycle and redistribute second-hand clothes through a social franchising programme, to reach the most marginalized communities. The American team NeMo won $25,000 thanks to a device and specialised support given to families living in the rural areas of Africa, which allows to monitor the vitals of newborns at home and identify potential risks without delay. 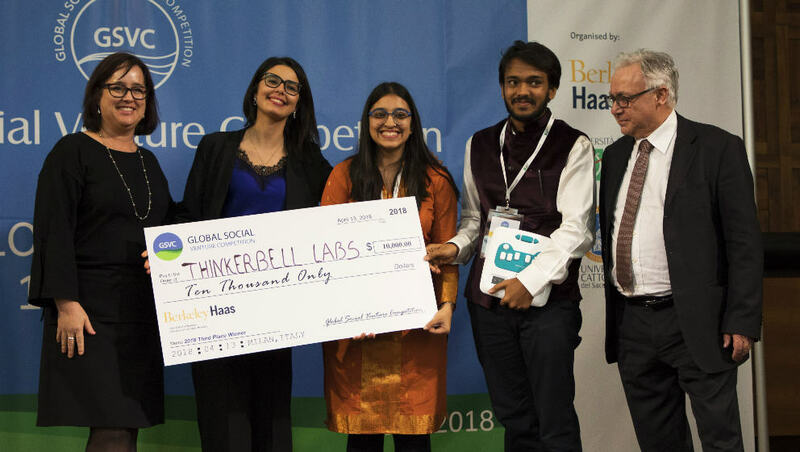 The third winner, Thinkerbell Labs, received $10,000 to further develop "Annie", an audio-tactile device that is meant to teach how to read and write in Braille even where this kind of teachings are not available. In addition to the main prizes, three teams received a special award: the Priya Haji Memorial Award ($2,500) was given to Acarí (USA) – a startup supporting Mexican fishers by taking advantage of catfish – the People’s Choice Award ($1,500) to Musana Carts (Uganda) – offering solar energy-powered street vending carts to foster micro-businesses – and the Quick Pitch Award ($1.000) to Konexio (France) – an initiative that works towards the social integration of refugees and migrants through training programmes in computer literacy and apprenticeships. The three-day event organised by ALTIS drew the attention of a vast audience made of entrepreneurs, business angels, social venture capitalists, incubator and accelerators managers and also academics and university students, who demonstrated a keen interest in impact entrepreneurship.